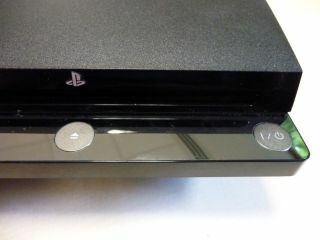 New PS3 Slim on the horizon? With E3 just a few days away it's no surprise that leaks regarding what will be unveiled at the show are coming thick and fast. Although we file most under 'rumour and speculation', the news that there could be new PS3 models on the horizon does seem to have legs. A number of new models have been filed by the FCC (Federal Communications Commission) test labs which seem to show that there are new versions of the PS3 on the way. The FCC has filed the following models: CECH-2501A and CECH-2501B and DECH-2500A and DECH-S2500A debug units. It is the debug units which are causing the fuss, mainly due to the fact that debugs are only usually required when a unit with a new chip is being used. We're not expecting the new PS3s to be radically different to what is out at the moment, considering last year's PS3 Slim was a major re-boot in itself. It'll probably be more about what's under the bonnet, with more efficient chipsets more than likely. Earlier this month, it was rumoured that a PSP reboot was also on the cards.